The period known as the nine days, which lead up to Tisha B&apos;Av, a day of fasting, are difficult for more reason than one. 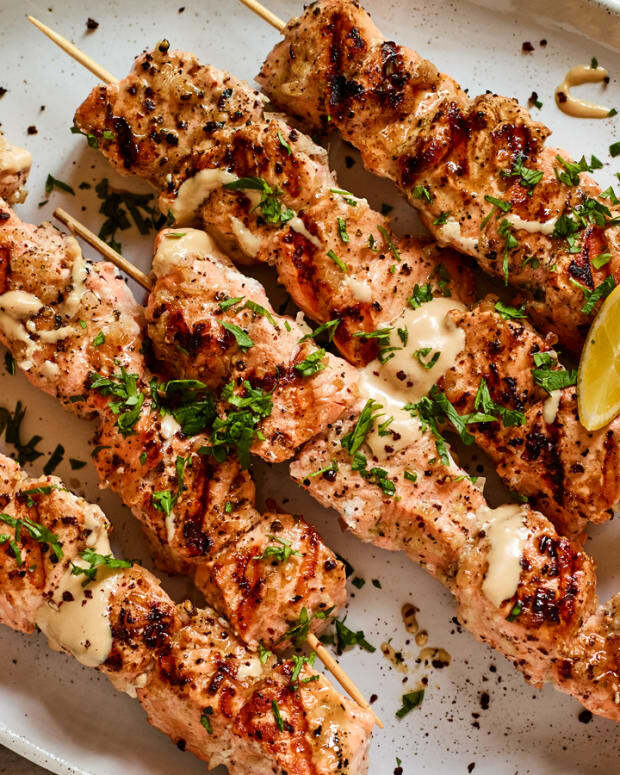 The spiritual preparations leading up to one of the most tragic days on the Jewish Calendar is a hefty burden that includes the physical limitations including a ban on meat. In the hope of easing some of the difficulty of this time, below are nine days worth of meat-less lunch and dinner recipes. 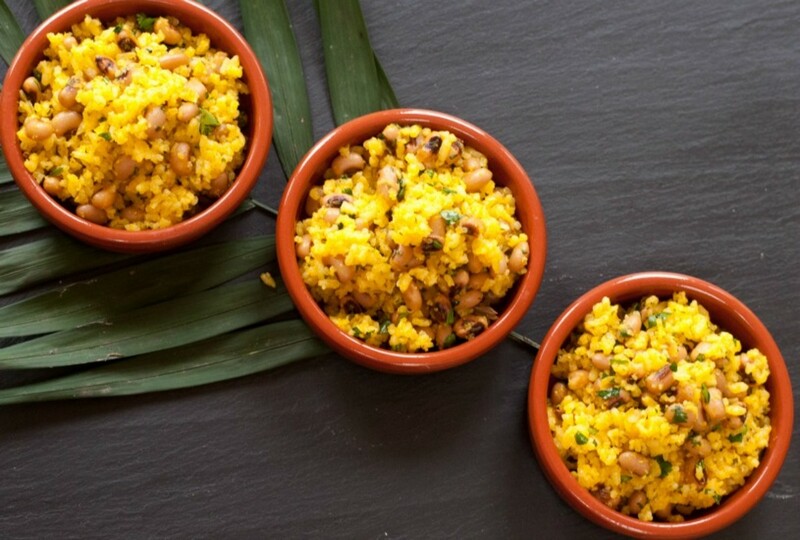 Traditional Brazilian recipes like the Brazilian Onion and Garlic Rice with Black Eyed Peas and Slow Cooked Greens, Brazilian Style pair well with down-home favorites such as Chili Garlic Sweet Potatoes and maybe a small slice of Corn Bread. 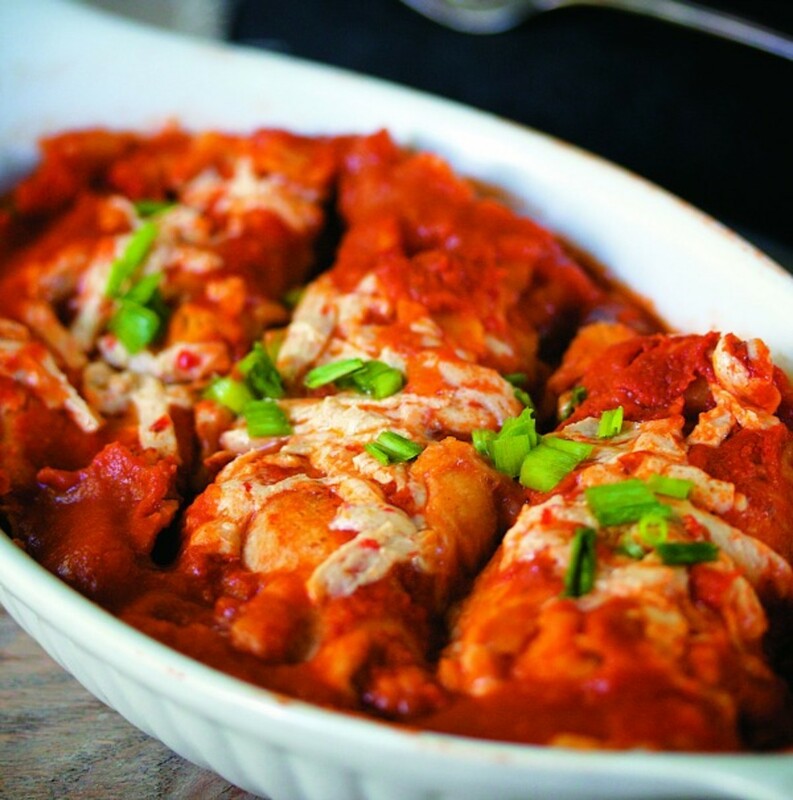 This meal would be very filling and is probably best for dinner when the temperature is cooler and you can watch kids fall quickly into bed with full stomachs and smiling faces. 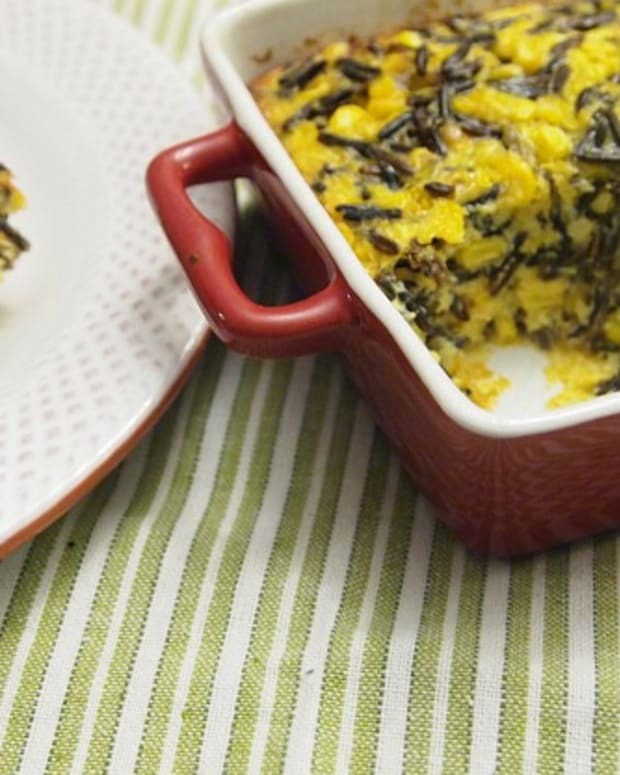 This is great as dinner and even the next day as leftovers. 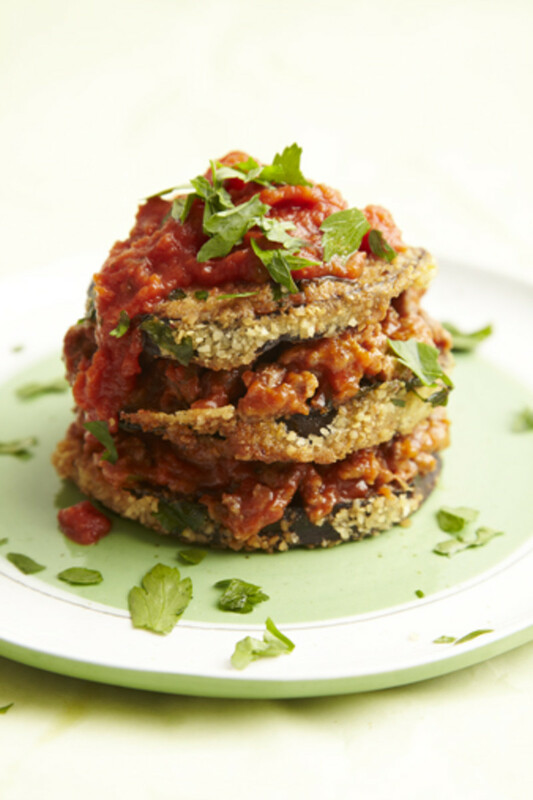 These Middle Eastern flavors compliment each other, from the with a salad of Sabra Moroccan Carrots to the Eggplant Tomato Stacks and Persian Quinoa with Tadig. 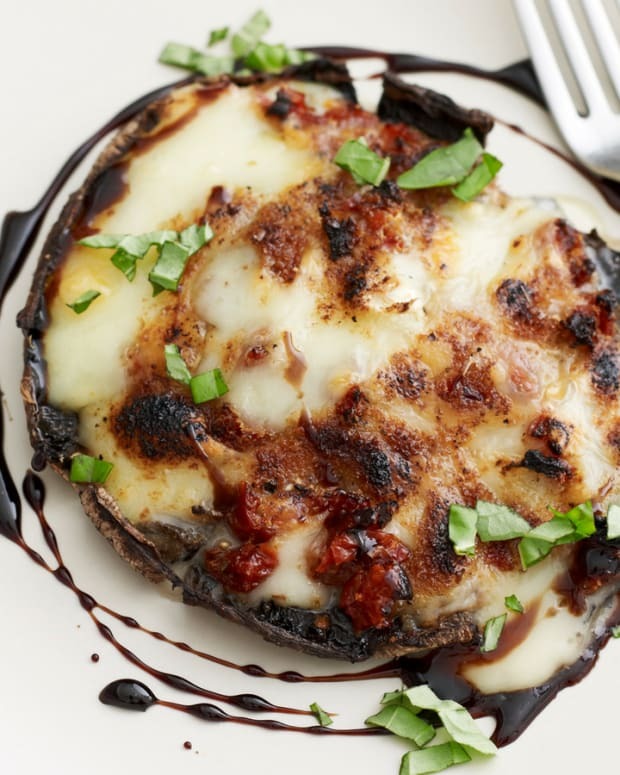 Depending on the portion sizes served, this meal could work for both lunch or dinner. It is Italian inspired, but with a twist. 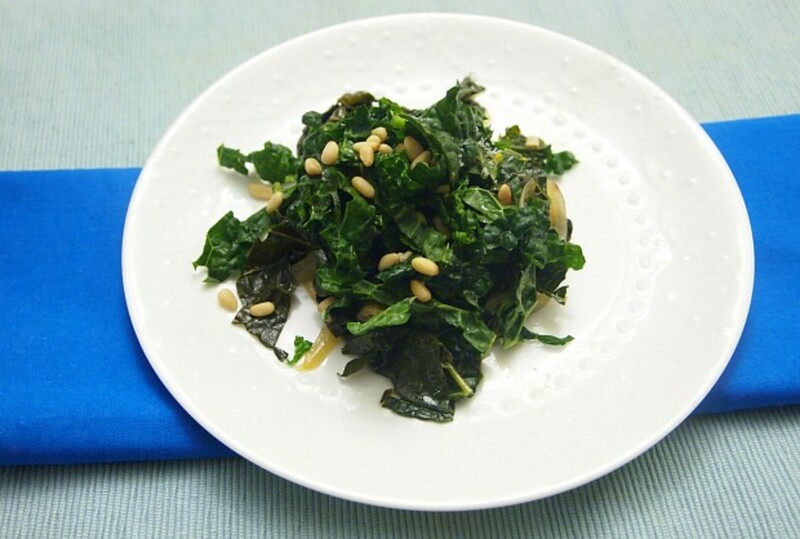 Try the Braised and Raw Kale with Pine Nuts alongside the Baked Polenta Fries and Tofutti Fettuccine Alfredo. 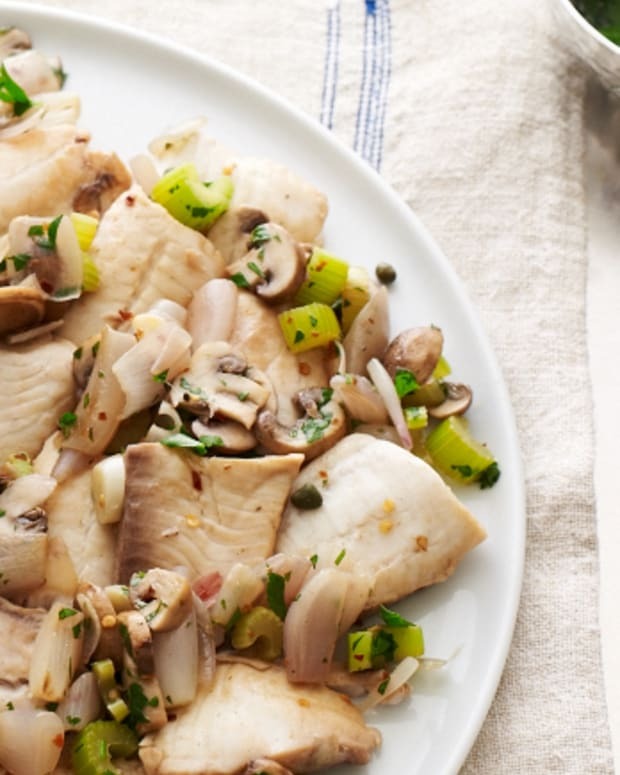 If you want to keep things light, either serve a small portion of the alfredo or swap it for fish. A very healthy lunch of greens and protein is the theme of this Asian inspired lunch of crunchy Sautéed Sugar Snap Peas and the Tofu and Mushroom Lettuce Cups. 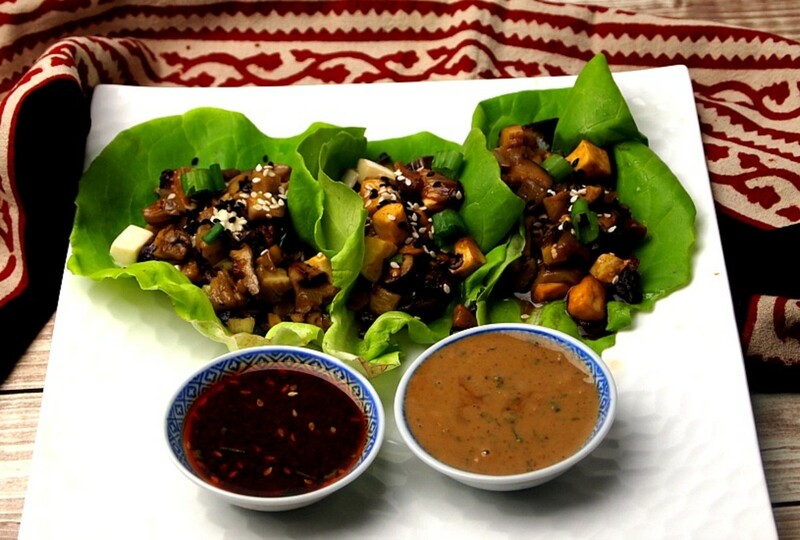 The Vegan Thai Lettuce Cups with Peanut Sauce are a hearty yet healthy lunch entree. 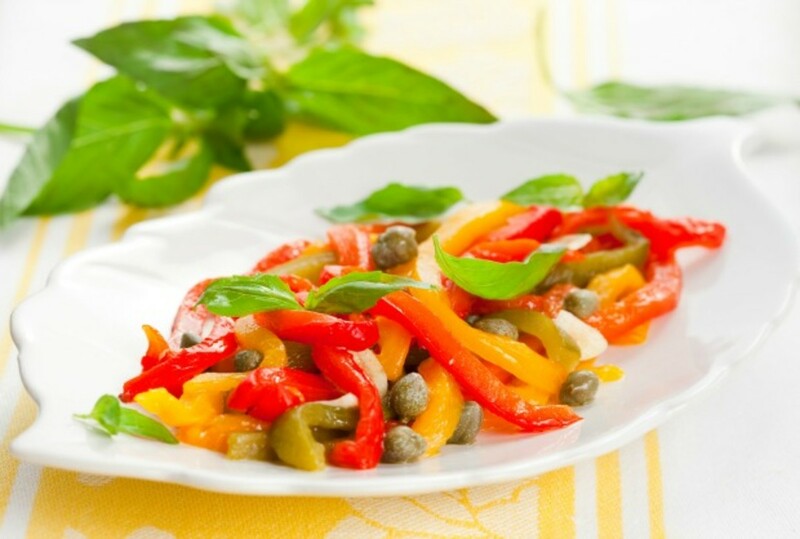 The Grilled Red Pepper Salad has a slightly different flavor profile, but makes a nice side try adding smoky almonds and a soy sauce mayo dressing to really pull the two dishes together. Here’s another healthy Asian inspired lunch starting with the Asian Salad with Wasabi Dressing. 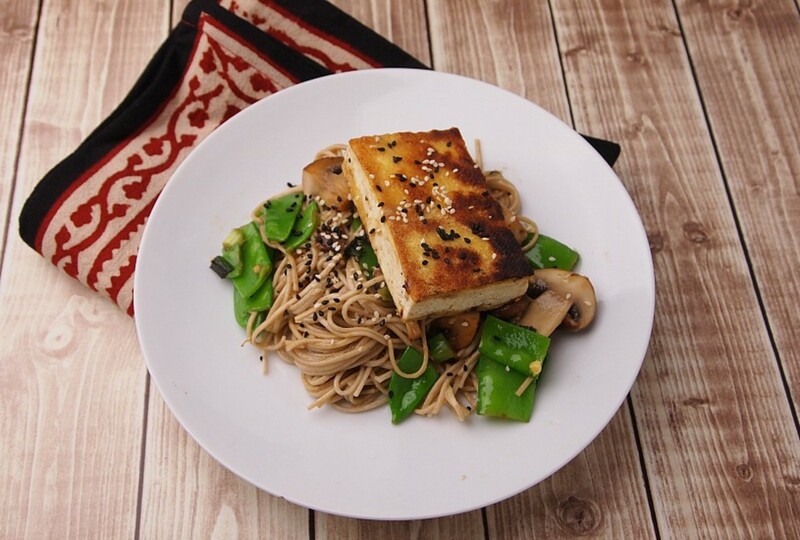 Then the tofu stands in for meat and fish in the Miso Glazed Tofu with Soba. 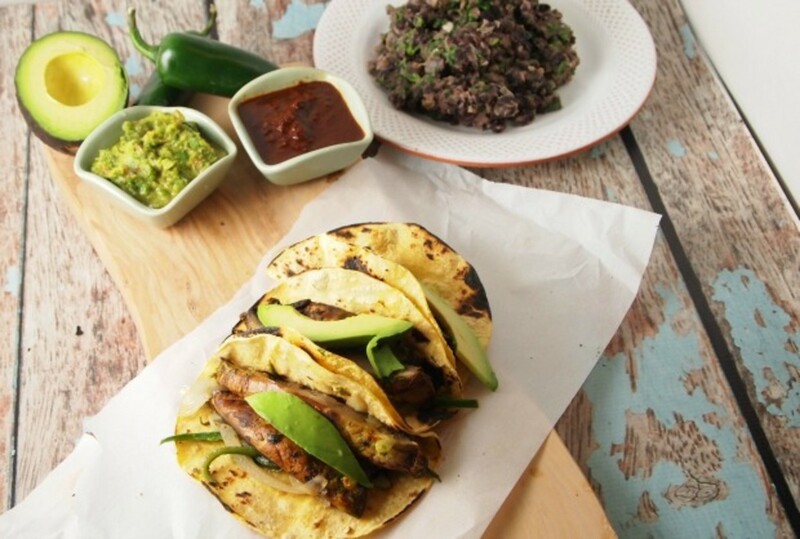 The Vegan Portobello Tacos and the Refried Beans are a meat-free Mexican inspired meal that would be great for both lunch and dinner. Avoid the added sodium and calories by making your own falafel at home withe the Homemade Dried Falafel Mix. 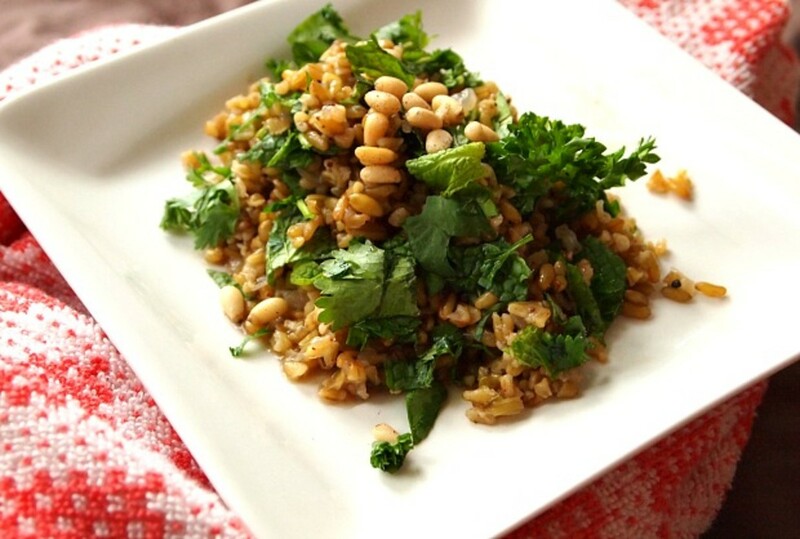 Serve it in pitas for lunch or alongside Freekeh Pilaf for Dinner. 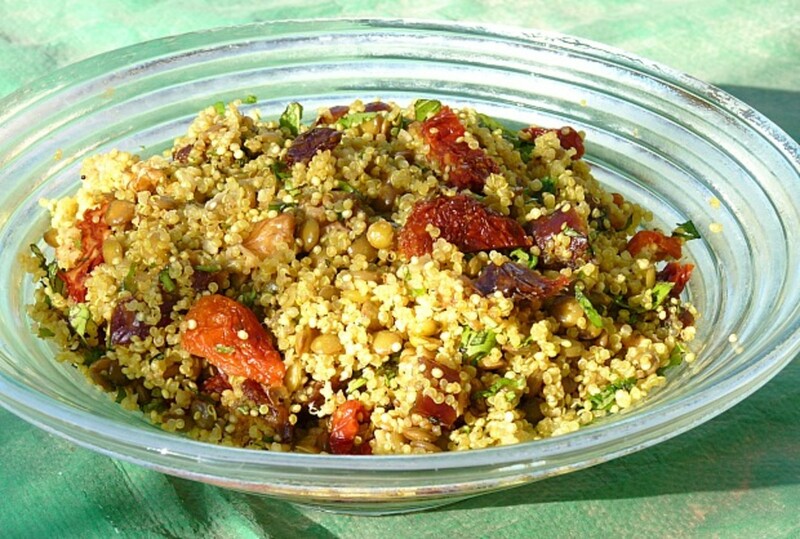 This mediteranean inspired meal is great for lunch or dinner, get the most mileage by serving the Crunchy Curry Cauliflower with Tahini and Pomegranate, Quinoa and Lentil Salad, and Rosemary Roasted Chickpeas for lunch, maybe with fish, and then serve the leftovers for lunch the next day. 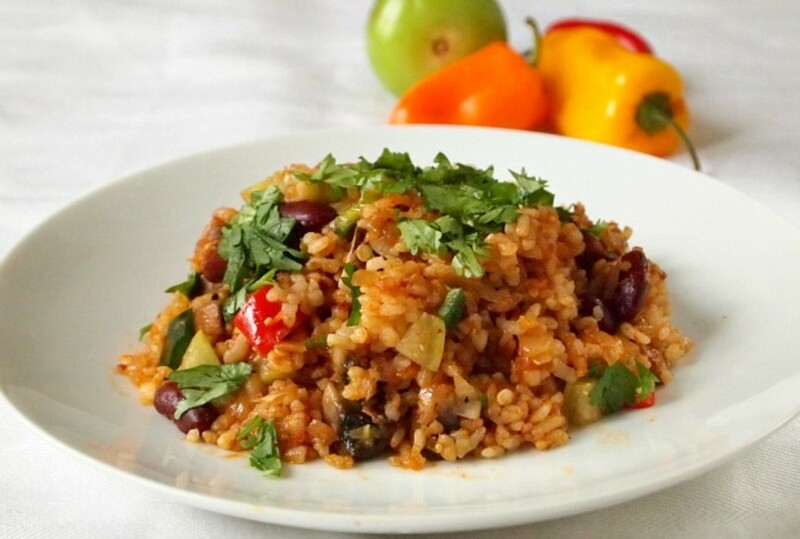 The Jalapeño Black Bean Quinoa Burgers and Mexican Fried Rice make for a really filling meal. The textures and heartiness are perfect for midway through the nine days when those meat cravings kick in. 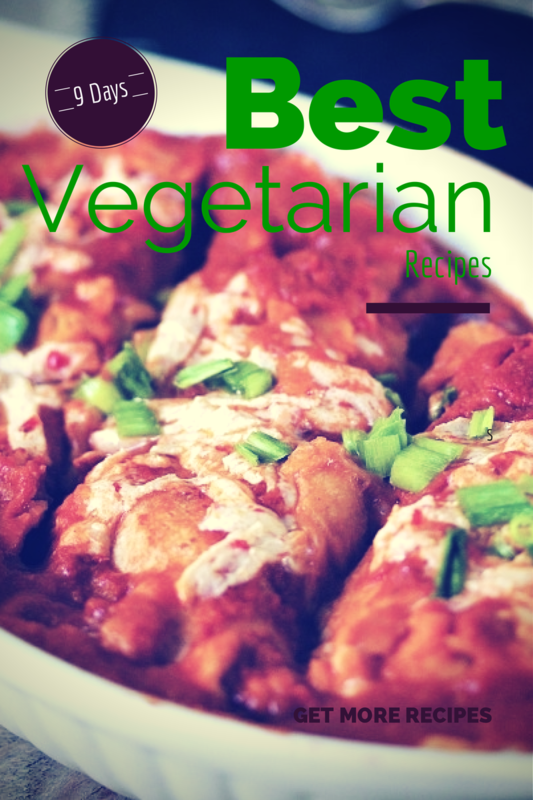 The Black Bean, Potato and Cheese Enchiladas make for a hearty dinner and are pleasantly offset by the lightness of the Jicama Radish Mango Salad. 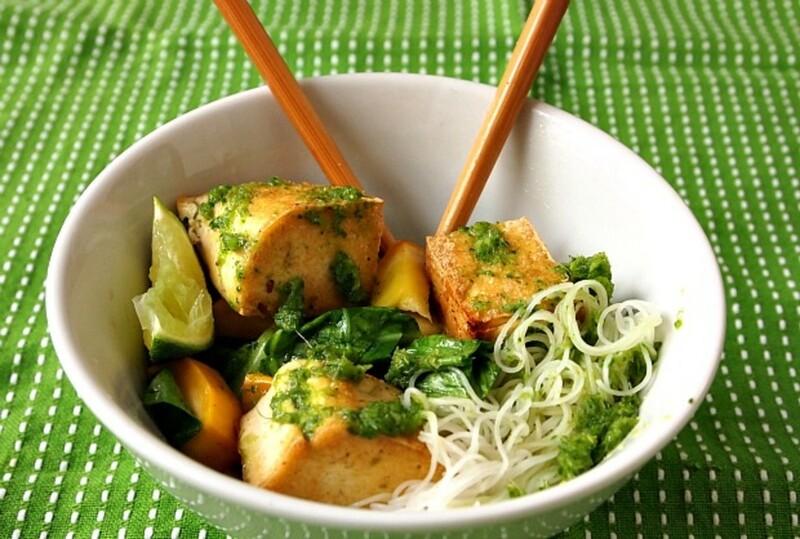 The Thai Noodle Bowl with Crispy Tofu is great for lunch or dinner. 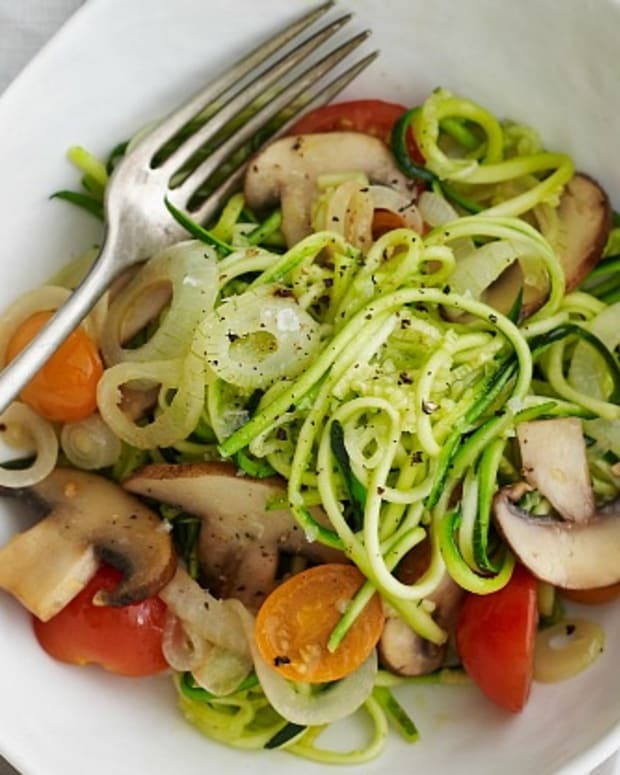 Serve it alongside Lila’s Lunch Sushi for the refreshing crunch raw vegetables. 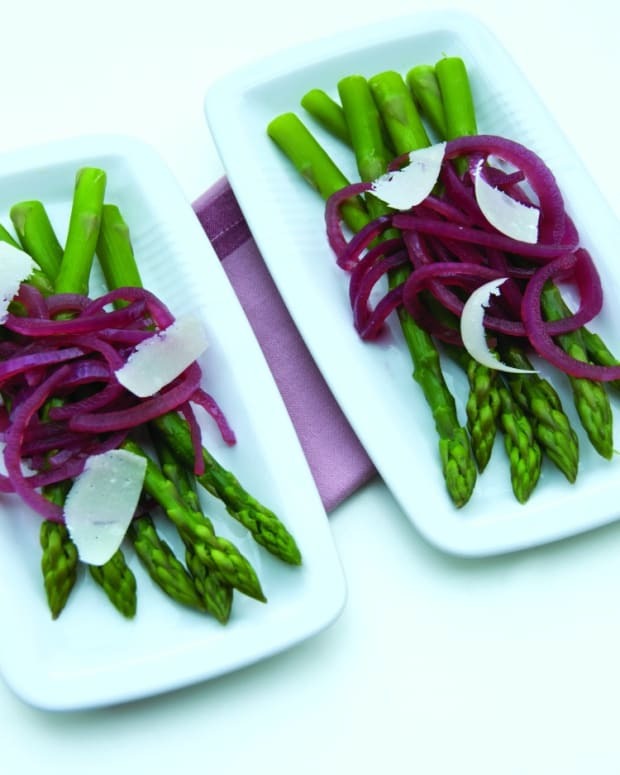 See more Nine Days recipes here.